Lots of great desserts that are grain-free and sugar-free! Mrsalexzan email me at thelifeoflulubelle (at) gmail.com so I can forward on your email address to receive Treat Yourself! Didn’t win and still want to purchase a copy for you or a friend? Visit Modern Alternative Mama and use code LULUTREAT for 25% off! (coupon expires Dec 27th). I had the pleasure to review Modern Alternative Mama’s newest book, Treat Yourself. This books is full of great dessert recipes with real food ingredients. You won’t find any processed flour or sugar in this book! I found this cookie idea from Country Living via Pinterest. 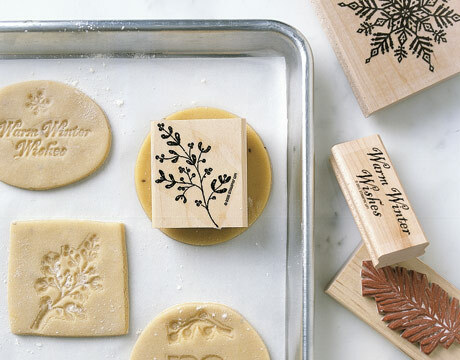 Use a clean stamp on rolled out cookie dough and refrigerate cookies overnight to harden, before baking. Country Living also suggests you brush them with luster dust – moisten the dust with a bit of lemon extract then paint on with a small brush. I haven’t tried this yet (but definitely will for Christmas! ), so I am not sure how well the stamped image remains on the cookie once it has baked. Has anyone given this a try? Maybe my body/mind is going in to panic mode about the upcoming Whole30 Diet challenge, but I really wanted some junk food. I really wanted cookies to be exact. I didn’t have chocolate chips so I figured oatmeal cookies would be second best, but I didn’t have enough oats; I did, however, find a box of blueberry oatmeal and figured that would probably work. 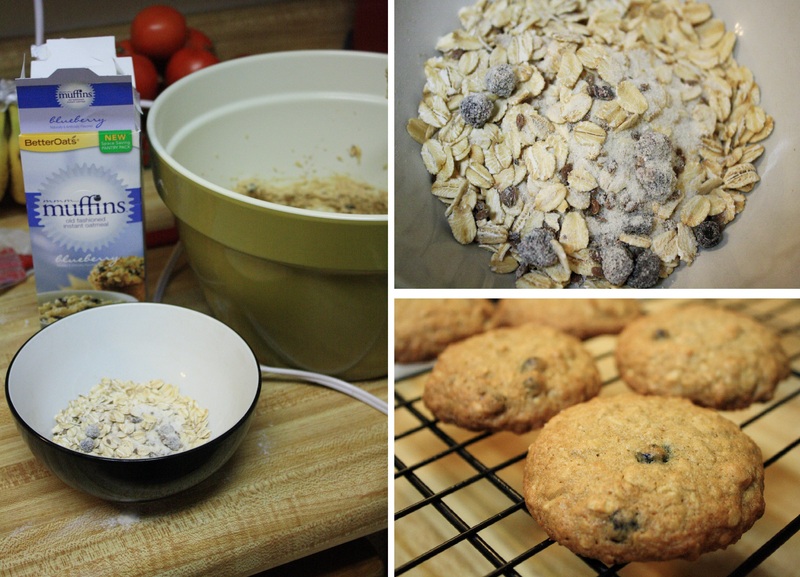 You can make cookies with any oatmeal packet. To alter the original oatmeal cookie recipe I just subbed oatmeal packet for the white sugar and oats called for in the recipe. I was going to title this post “an easy way to get fat and eat bad food” but I thought that was a bit mean and dramatic. And I only say that because I feel much better about dessert when it’s made with natural ingredients, not the manufactured ones we consumed tonight. I’m all for whole foods and clean eating; I think everyone should do it, but every once in a while I want something that is bad for me. I want to splurge a bit and enjoy all the different things life has to offer – even if it is hydrogenated oils and processed sugars. So maybe I will just blame it on my husband. Yeah, that’s it; a special request from my husband. Around here we have a restaurant called BJ’s Brewhouse. They serve pizza and beer and lots of other American dishes. They aren’t particularly noteworthy or fantastic, except for their Pizookie. 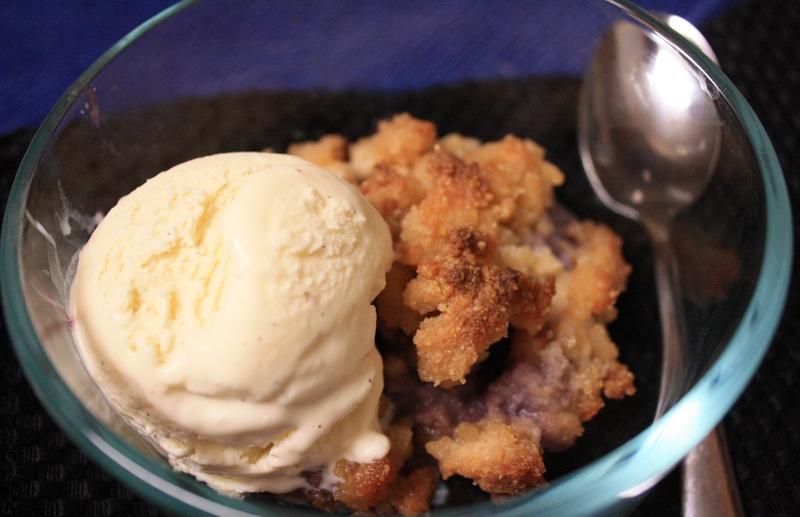 Their Pizookie, cleverly named by combining the words “pizza” and “cookie” is a warm, half-baked cookie fresh out of the oven served in a small cake pan like container with a generous scoop of ice cream on top. I’m sure there is no secret ingredient or special recipe, but something simple and delicious – a soft and gooey cookie. No need to make it fancy, it’s perfect the way it is. I fully support eating healthy, whole, natural foods. But I have a wicked sweet tooth. And I wanted to eat a Pizookie. I did not, however, want to get dressed, drive 30 minutes, and wait for a table to get one. The solution? Make one at home! 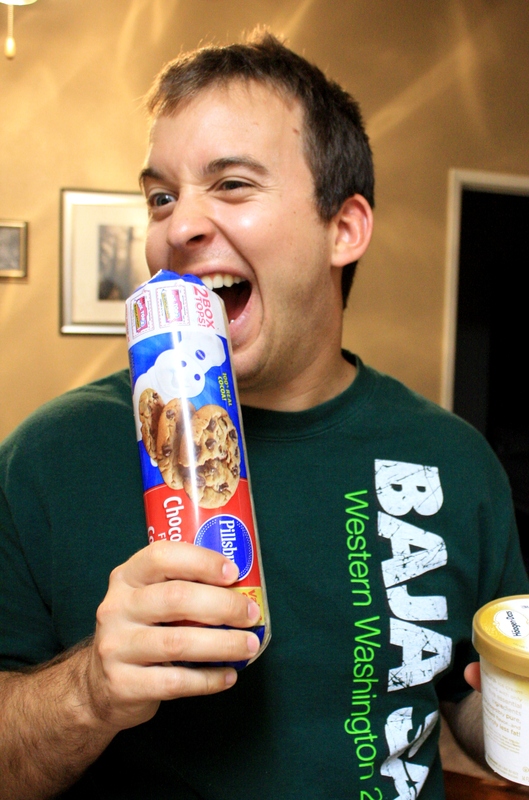 My husband did this and other obscene gestures with this large tube of cookie dough all throughout the store. I went over to a friends house yesterday and helped garden and pick blackberries. 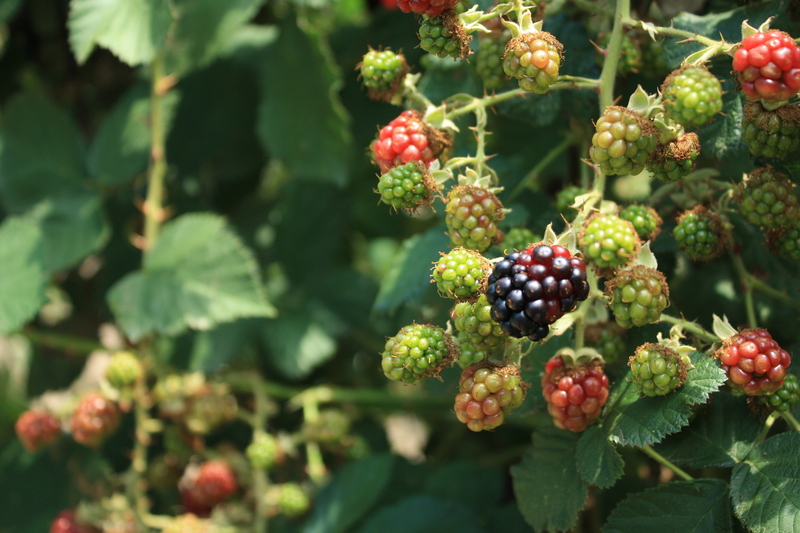 Blackberries are very protective of themselves – they like to grow large thorns and try to persuade you not to pick them. But you have to tell yourself the the blood, sweat, and tears is all worth it. And usually it is. 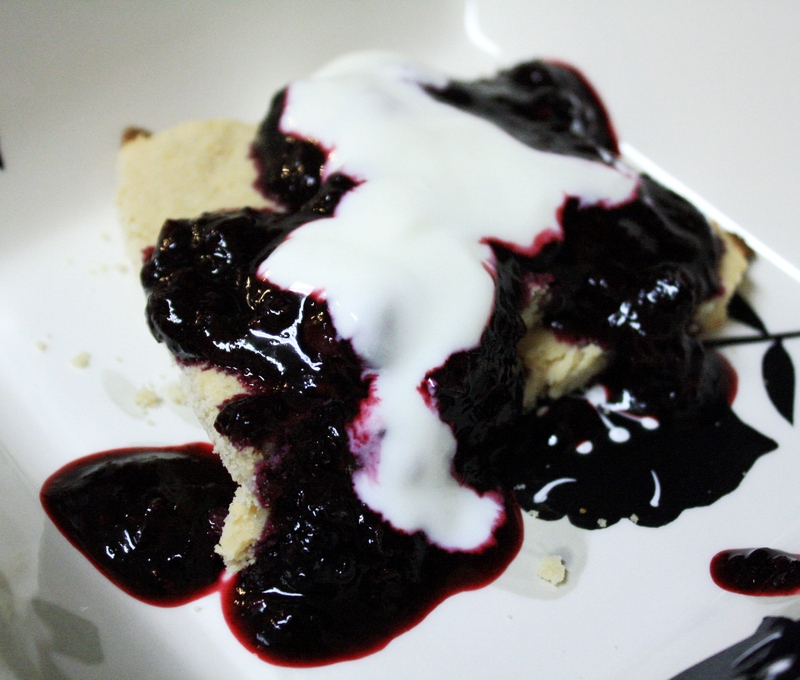 Because I loved the blueberry compote so much, I decided to make some blueberry-blackberry compote and some lemony shortbread tart crust. My husband thought there was too much lemon – but I thought it was perfect. The crust is made with almond and coconut flour and gluten-free like the muffins I made a couple of days ago, but the crust is crisp and tart and not sweet and soft. Combine ingredients in saucepan and simmer over low-medium heat for 15-20 minutes, stirring occasionally and smashing berries to release juice. While berries are simmering, prepare the tart crust. Combine flours, then add in chunks of butter and blend with a fork, to make crumbs. Add vanilla and lemon, and continue to stir. Add 1 tbsp of water at a time until your dough reaches a consistency where you can roll it into a ball and it does not crumble. Press into a tart pan. Take a fork and poke holes around the crust before you put it in the oven, to prevent crust from rising. Bake 8-12 minutes or until it starts to brown and is firm to touch. Let crust cool. Pour berry mixture over tart and serve warm or refrigerate and serve chilled. *This dessert is quite tart. It would probably be best served with something sweeter – vanilla yogurt or ice cream. I prefer the muffin top cookie things with the compote than the lemon tart and compote combo.